Rainie preparing for a test ride. We spent several weekends in the late fall traveling around the region looking for a horse. Due to horse allergies, we needed to locate a specific breed of horse which is more hypoallergenic than normal horses. That breed is the Bashkir Curly, also called the North American Curly Horse, or simply Curlies. Curlies have finer, curly hair (somewhat similar to a poodle or other hypoallergenic dog) compared to other horse breeds. After several weekend trips the northeast U.S., we took a trip to Ontario, Canada to visit several more Curly breeders / owners. It was there that we met Rainie, a 9-year old Bay-colored Curly-Friesian cross. Rainie out on a test ride. Click through for more pictures, video and information about Rainie. After her owner rode her for a short time, we took her for a short test walk/ride around the field. 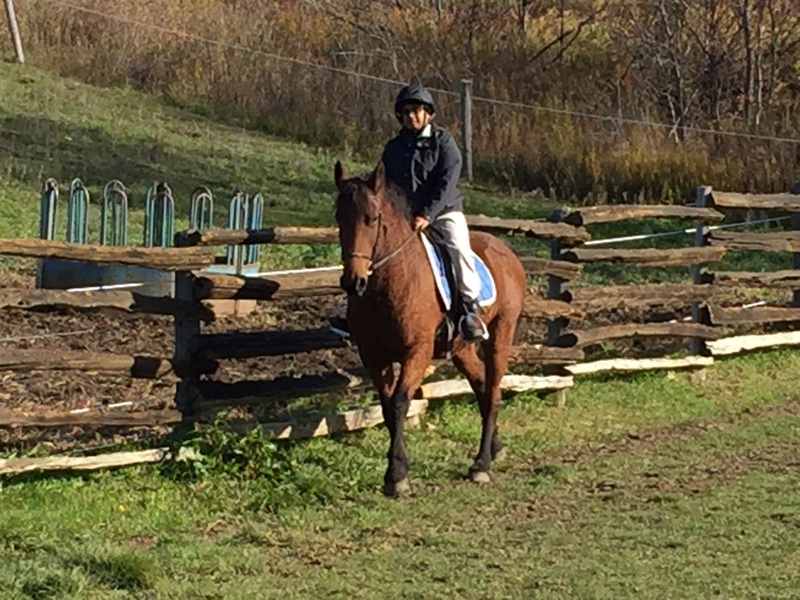 Rainie on her test ride. We decided to proceed with the next steps to bring her home. She first had a vet visit from a neutral vet to make sure she was healthy. Because she was in Canada, she also needed extra paperwork to get across the U.S. border. It took a few weeks to get everything set up. We decided that we will board her at a nearby stable for at least the first few months. This will give us time to get to know Rainie better. 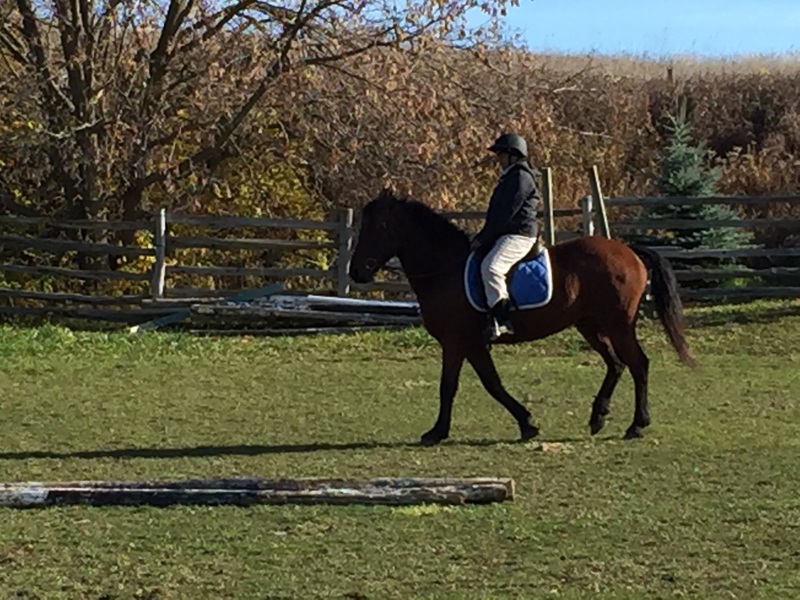 It also lets us learn to ride (or re-learn after a couple decades without being able to ride due to allergies) and learn to take care of her before bringing her home. 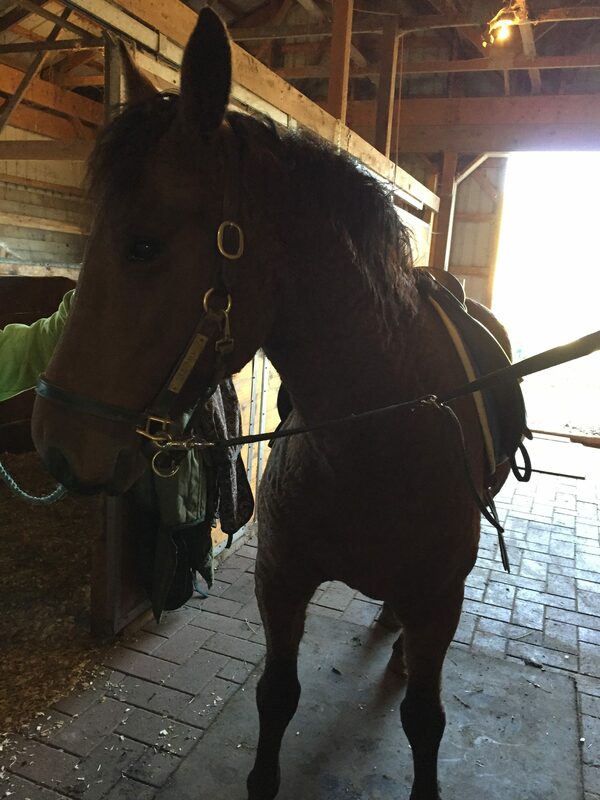 This entry was posted in Animals, Horse and tagged animals, horse by Dan. Bookmark the permalink. Love it! Will Rainie be a work horse or just for fun? She will just be for fun. If we ever get overly ambitious, we might try to train her to pull a small cart. Cool! Can you get a close up pic of Rainie’s coat? Yes, I have some close-up pictures, just need to get them uploaded and posted – probably within the next week or so. It’s about time you added a Canadian to the family! Can’t wait to visit sometime soon!